Is a National Sales Tax Coming to the United States? Is a Value Added Tax Coming To The United States? Just months ago, the mere mention of a national sales tax in the United States would have gotten you laughed out of the room. People who would raise the idea of a VAT (Value Added Tax) in the United States would be reminded that a national sales tax is a "European thing", and that we "don't do that in the United States". 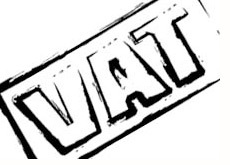 A recent article in the Washington Post mentions that the idea of a "VAT" in the United States may be gaining some traction. An idea, once considered to be so politically ruinous that the mere mention would make people recoil in fear, is now being discussed as at least a "possibility" going forward. The article, which you can read here, makes note of the fact that the chairman of the Senate Budget Committee, Sen. Kent Conrad, believes that the possibility of instituting a national sales tax should be "on the table". The article goes on to mention that a couple of advocates for a Value Added Tax, Ezekiel Emanuel and Paul Volcker, are both in the ears of very important people in Washington. Emanuel is advising White House Budget Director Peter Orszag, while Volcker is chairman of a task force that President Obama set up to study the tax system. A VAT or GST tax is present in the economies of many countries throughout the world, including Canada, New Zealand, Sweden and the United Kingdom. The Washington Post makes mention of the fact that the VAT is used in "more than 130 countries" today. The bottom line is that the United States government is (desperately) looking at ways to raise revenues. Not only are they trying to reduce their sky-high deficits that continue to pad the totals of their ever-growing national debt, but they are also looking for ways to pay for new policy reforms, including a trillion dollar plus health care reform package. Those who are pro-sales tax (or VAT) argue that it would significantly swell the coffers of the federal government, making it increasingly less reliant on foreign capital. Institute a large enough VAT, they argue, and you could pay for health care reform, lower the size of the deficits and even cut income tax rates. Those who are against the idea of a sales tax argue that such a tax would smother the embers of any type of economic recovery and place an unfair burden on consumers. They argue that a VAT would lead to greatly reduced consumer spending levels, which would in turn lead to fewer jobs. So, would a national sales tax replace the income tax? No way - you're kidding, right? This would be on top of any income tax that you already pay. Is the mere discussion of a national sales tax in the United States a testament to just how poor the finances of the United States are? Or is this just an excuse for a tax-happy government to place a further burden on its citizens? Times are certainly changing. Part of me thinks that a sales tax would never, ever fly in the United States. However, how do you continue to post trillion dollar deficits AND implement trillion dollar plus healthcare reform without doing something drastic? The money has to come from somewhere.